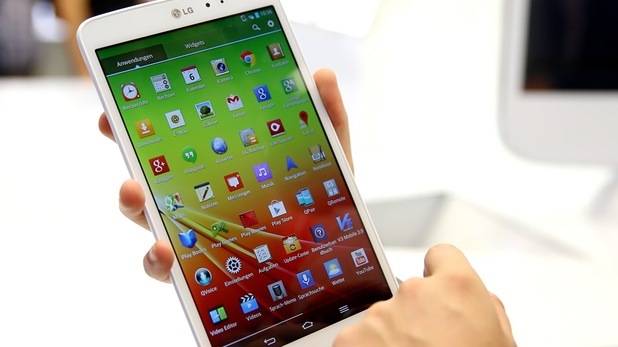 These are the top tablets of 2014. Nexus 9 is favorite choice for tablet fans now. Google has launched new members in Nexus flagship series recently, within a short period of time they became front runners in smartphones and tablets market. Nexus 9 comes with 8.9″ IPS LCD display with 2048 x 1536 px resolution, 2 GB RAM, 16/32 GB storage options and 2.3 GHz NVIDIA Tegra K1 Dual Denver processor. It carries 8 MP rear camera and 1.6 MP front facing camera. The tablet weighs 425g and measured at 153.68mm x 228.25mm x 7.95mm dimensions. Nexus is embedded with a 6700 mAh battery and available in Indigo black, Lunar white, Sand colors. Samsung Galaxy Tab S features 8.4 inches touchscreen display alongside 2560 x 1600 pix resolution for 359 PPI. It runs Android 4.4 KiTKat OS and powered by Octa Core Exynos processor runs at the combination speeds of 1.9 GHz Cortex-A15 & 1.3 GHz Cortex-A7. The tablet offers 3 GB RAM and 16/32 GB storage. You can further expand the memory for up to 128 GB by card slot. It occupies a 8 MP primary camera and a 2.1 MP secondary camera. Tab S is backed by a 4900 mAh battery and available in Dazzling White, Titanium Bronze colors. It weighs 294g and measured at 212.8 x 125.6 x 6.6 mm dimensions. Asus Memo Pad is another powerful device with 7-inches display, 2 GB RAM, 16/32 GB internal storage and memory card support for up to 64 GB. It delivers images and videos with 1920 x 1200 pix resolution for 323 PPI. Memo Pad 7 runs Android KitKat OS and powered by a 1.83 GHz Intel Atom Quad-core processor. It has 5 MP primary camera along side 2592 х 1944 pixels resolution. 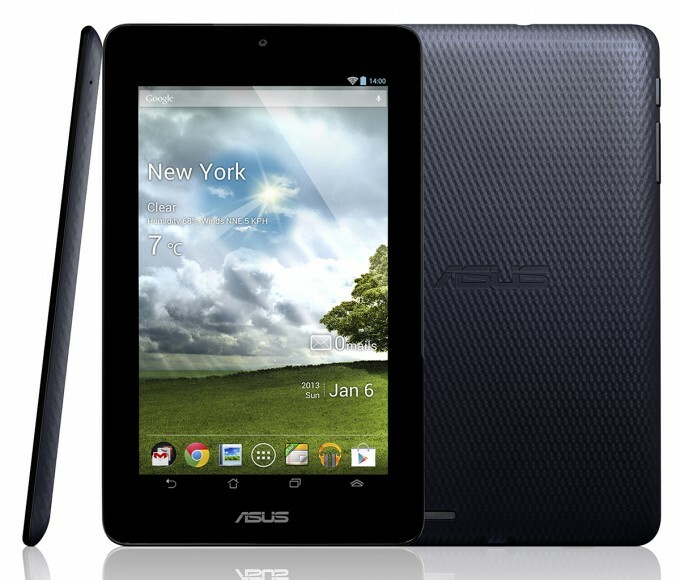 Asus tablet also occupies a 2 MP camera on front side. It weighs 279g and measured at 200 x 114.4 x 8.3 mm dimensions. One of the most selling tablets since its launch in 2013. G Pad features a 8.3 capacitive touchscreen display with 1920 x 1200 pix resolution and 273 PPI. It runs Android KitKat OS which can be upgraded to Lollipop later. 1.7 GHz Krait Quad-core processor, Snapdragon 600 chipset, 2 GB RAM, 16 GB internal memory, memory card support for up to 64 GB and 4600 mAh battery are other notable features of the device. It holds a 5 MP primary camera (2592 х 1944 pixels) and a 1.3 MP secondary camera to meet your photographic needs. The tablet weighs 338 g and measured at 216.8 x 126.5 x 8.3 mm dimensions. 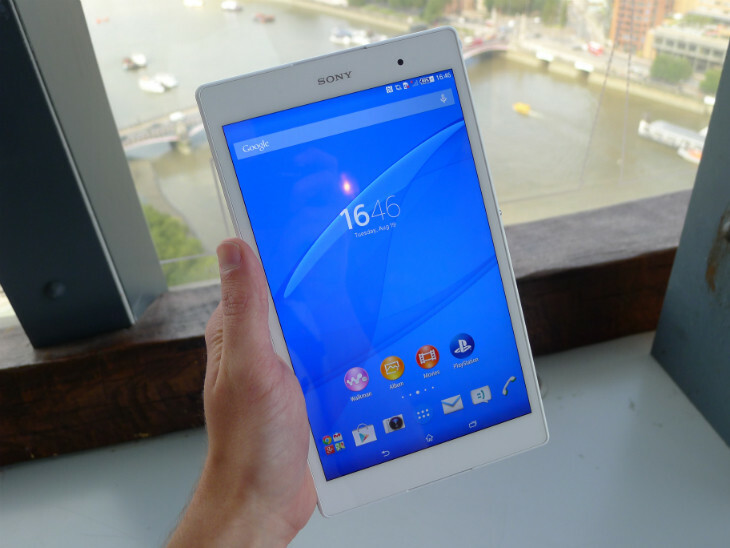 Brilliant tablet from Sony electronics. It sports 8 inches capacitive touchscreen display alongside 1920 x 1200 pix resolution and 283 PPI. Xperia Z3 Compact runs Android KitKat OS which can be upgraded up to Lollipop version. It is powered by 2.5 GHz Krait 400 Quad-core processor with Snapdragon 801 chipset. Z3 provides 3 GB RAM and 16 GB onboard storage which can be extended for up to 128 GB. 8.1 MP primary camera, 2.2 MP front camera and 4500 mAh battery are other main advantages of the device. The tablet weighs 270g and measured at 213.4 x 123.6 x 6.4 mm dimensions.